For a century or more, the humble blade putter was staple equipment in the bags of golf professionals and amateurs alike. If you’ve ever watched golf movies or seen golf footage of the pros from the 1990’s or earlier, chances are you would have seen a blade putter in action. When compared to a mallet putter, the blade putter has a much simpler design as it features a straight, blade-style clubhead. The clubhead attaches to the end of the putter’s shaft towards the heel of the blade or closer to the center in some cases. Blade putters are the oldest and most traditional type of putter as the look was easy to produce in the early days of golf club manufacturing. 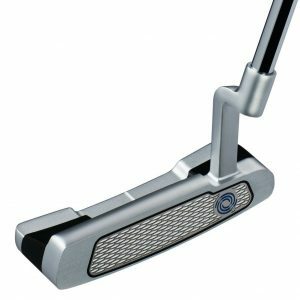 The style remains popular today even with the emergence of mallet style putters, and are commonly seen on the U.S. and European professional golf tours, and used by famous players like Phil Mickelson. If your putting stroke tends to have an open-to-close arc, you would likely find better results with a blade style putter. Blade putters are generally weighted in the toe, allowing the club to follow it’s natural swinging path, which makes it easier to “square” clubface at impact. Generally, if you have a big arc to your stroke, the more weight you would want in the toe (outside) to allow an easier “closing” and “opening” of the putter face. This differs from mallet putters because they tend to have a face-balanced setup promoting a more “straight-back straight-through” motion in the putting stroke. Everyone has their preference and comfort when stroking a putt, whether it be in an arcing motion or straight-back straight-through pendulum action. The speed of the greens that you play on a regular basis plays a big part in the decision to use a blade putter. Blade putters are suited to harder, faster greens with shorter grass where a delicate touch is needed to produce consistent results. Sometimes the most underrated component in producing any piece of equipment is simply how it feels in the hand when you’re standing over the ball. If the blade putter feels better than a mallet putter in your hands, that is the key because confidence is critical in sinking more putts. You should be thinking about the putt you’re about to make, not what putter is in your hand. With deep grooves and a solid feel off the face, the Nike Method Origin is remarkably forgiving for a blade putter thanks to the resin (RZN) layer behind the face of the polymetal grooves. Nike’s RZN technology is infused not only in this putter, but in their balls, irons and other putters. The resin polymer helps regulate distance control and maximize feel for the player. 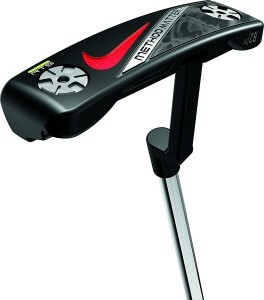 Nike’s Method line of putter include the RZN technology, much like their Origin line but differs when it comes to feel. The B2-01 has a softer feel because it uses the resin across the whole face of the putter and not just behind the grooves. 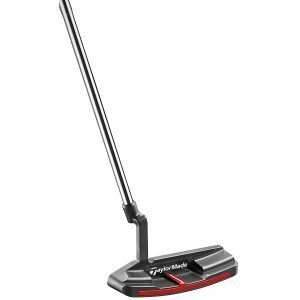 The all black look is sleek and has a white alignment stripe across the top of the putter head to help start the putt rolling on the intended path. The Odyssey Works Tank Cruiser #1 is a great option for golfers who are looking for a blade putter that produces a smooth putting motion with a super soft feel off the face. Odyssey somehow created a steel-mesh and softer polymer combination in their face insert to get the best of both materials. The Works Tanks line offers a SuperStroke Grip on every model and comes with a counter-weight system (5, 15 and 30 grams) for both the bottom of the head and top of the grip. The counter-weight system allows players to change weight until they find their preferred setting. Every player has their own unique feel and could find that switching weights for different greens speeds provides better results. Scotty Cameron putters are renowned as being the top of the line, and the Select Newport 2 is no exception. This putter has evolved over time to become a true thing of beauty and modern technology. The stainless-steel metal insert allows a shock-absorption to occur and help off-center putts retain distance control. 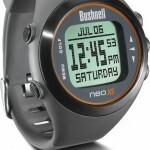 The insert is not seen from above by the user because of the stainless-steel body that wraps over it. 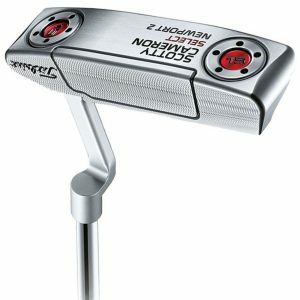 If you’re in the market for a new putter, the only thing that would hold you back from choosing this model is the price tag, which is often the case with Scotty putters. But the question you need to ask yourself is this: What price do you put on avoiding 3 putts? A feature of this putter is the firmer than average face, even for a traditional blade putter. 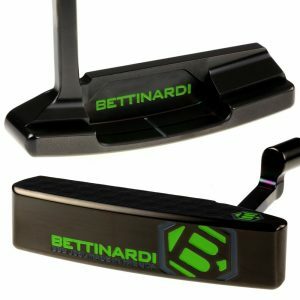 This comes from Bettinardi’s use of relatively-soft carbon steel which separates itself from any other putter producing company. Bettinardi has incorporated their honeycomb signature into the face with new finishes including “Midnight Black Finish” and “Brushed Nickel Shaft”. The firmness of the putter ensures solid feedback when you strike the putt but it will cost you just as much as a Scotty Cameron. PING’s Cadence blade line fits a golfer with a slight arc. Each model comes with different face weights to allow golfers to match their own feel and preference. Their blue face inserts are the standard or traditional models and match with medium-to-fast rhythms. The other option is the black face inserts which correspond to a slower stroke tempo and gives great feel on shorter putts. 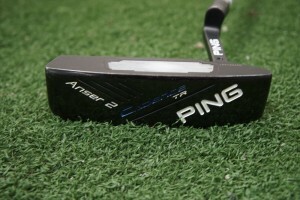 The TR Anser 2 also comes in a counter-balance option with a weight in the grip for a better pendulum effect. The W Traditional and Heavy models are very similar to the TR Anser 2 blade but have a toe and heel fin to help align the putter square to the target. TaylorMade’s OS putters has a longer face than traditional blades but this aspect allows for a forgiveness not found in the shorter-faced blades. 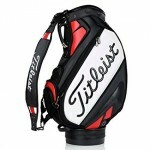 Their insert is a softer aluminum giving it a forgiving feel off the face and ideal for speedy greens. Although it has a bigger (than usual) head, it doesn’t compromise weight as TaylorMade has filled a hollow portion of their putter with a very light, almost foam-like material. With a name that sounds more like a car model, the Cleveland TFi 2135 1.0 is experimenting with a newer alignment theory. They have taken the traditional putting alignment line, which usually rests below on the bottom flange, and moved it up to the same height as the center of a golf ball. They theorize that if your eyes are not directly over a golf ball then alignment may be off, resulting in fewer putts made. 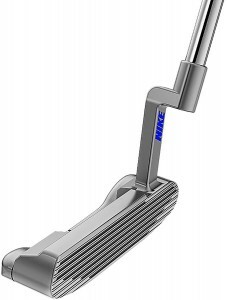 If struggling with alignment, this could be the putter for you! The face also includes two inserts with a milled copper cap over a softer insert for a consistent hit. 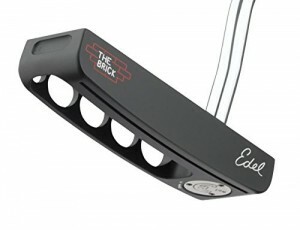 Edel’s Brick name is fitting as its features resemble a cinder block attached to a steel shaft. 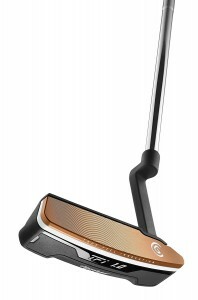 It is one of the few blade putters that favors players with a straight-back straight-through stroke. Instead of having most of the weight in the toe, it has a very neutral and balanced weight across the whole head. The putter is less likely to be swayed because of this technology. It was created for Bryson DeChambeau who used it to win an NCAA Championship as well as the U.S. Amateur. The end goal when selecting a putter is always making more putts, especially when it counts. Deciphering the described factors in your own game and applying it to the putter’s qualities will help align your stroke with the correct putter. Whether it be a fun round with your buddies, club championship or stressful tournament, making more putts is the key to shooting lower scores. Having a stroke and putter you can count on under pressure will increase confidence and lead to more putts made.